We are delighted to announce the wonderful winner of our June Pug of the Month contest! 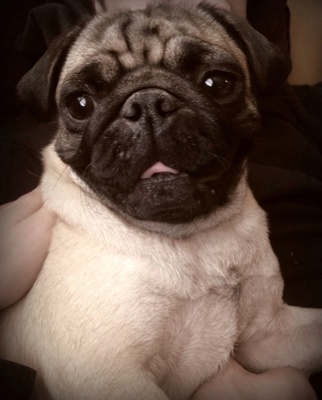 Bella is nearly two years old, and started off as a foster pug, but quickly was adopted by her foster family. She loves to snuggle and play with her family. Congratulations to the beautiful Bella and her owner Kristina! Each month our Facebook fans submit photos of their pugs and vote for their favorite to crown the Pug of the Month!